The virtual reality technology has expanded a lot in the recent times. There are many companies that are working on developing the display technology that can match the human eye’s resolution. 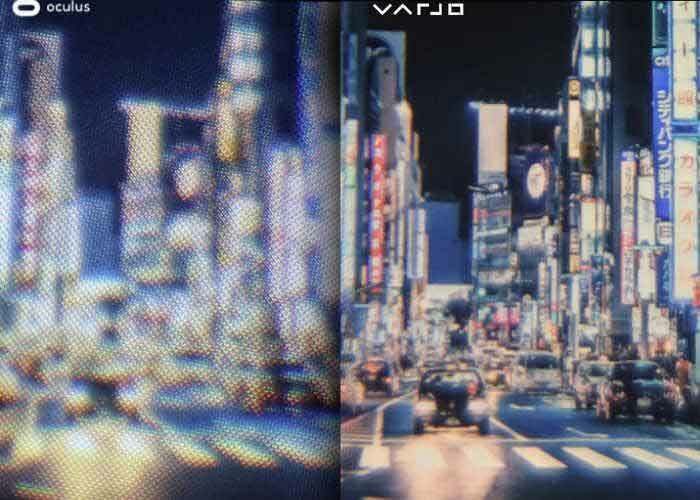 In the same approach, Varjo has said that the company is working on the VR technology that can match the human eye’s resolution. Varjo is a start-up which has only 19 employees. Yes, it’s a big statement made by the company considering the fact that they have very fewer members and resource. But most of the employees in the company are from Microsoft and Nokia. So, there is no doubt about the talent of the workers. Varjo started 10 months back in Helsinki, Finland. They have received the initial funding of $ 2miilion which they have used in the development of this technology. Urho Konttori, founder and CEO of Varjo said,” We know that this is a jump start but we are confident that we can pull it off”. Varjo has retrofitted an Oculus Rift with an extra layer of the lens inside the unit. The OLED microdisplay projects the image on the glass plate over the Oculus lenses. According to the company, it has 70 times more resolution compared to that of Oculus Rift’s image. The have developed a prototype which proves their theory. The size of the ultra-resolution section is smaller than that of Oculus Rift. The edges are a bit jittery in the transition from one image to the another. The micro-display in the porotype has persistent display compared to the low persistent display of Rift. The company has also released the demo video showing how the porotype works. A person can have the multiple displays. Also, videos show that the person can also manipulate the position of the objects in front of them. They can also click on any spot and the virtual home surrounds them at human scale. It gives a detailed and precise view that the person feels like that it is in reality. According to the company, current VR and AR technology are of low resolution. It is like the 1/100th of the human eye resolution. The current technology uses the optical see-through the system which has the narrow field of view which gives the hazy and artificial look to the content. The company plans to develop the Steam VR headset and will use the software and hardware gaze tracking to achieve 70x more resolution. The company also told that a total number of pixel is less than the 4k monitors of today will allow the user to use the headset on current desktops. The company will launch the prototype by the end of this year and final product by 2018.